Lots of people don’t know the differences between rare earth and neodymium magnets. So we would like explain it in this post.Neodymium magnets are a type of rare earth magnet. Which means that rare earth as a whole and by extension neodymium belongs to the lanthanide series of elements. The other type is called samarium cobalt which was first used in the 1970s while neodymium was used in 1980s. Both of these types are widely used but as can be foreseen both of them differ from each other in spite of being made from a similar substance. It has a lower resistance to thermal stress and so when it exceeds a certain allotted temperature of around 150 degree Celsius then it loses its ability to function. The Tcurie (this is the temperature exceeding which recovery of the magnets property or functionality cannot occur) of neodymium magnets is 310 degree Celsius. This makes it a bad choice for high heating applications. The Tcurie is about 750 degree Celsius. These above properties combine to make sure that their relative strength allows them to withstand very high temperatures than neodymium magnets. So they are useful in high heat applications. Samarium cobalt magnets also have a good resistance to corrosion. These magnets also have a higher price due to the above heat resistant properties than neodymium magnets. 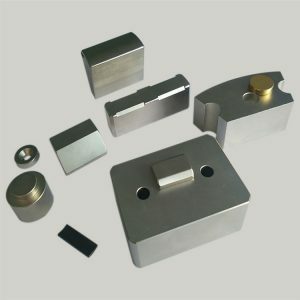 So, as reiterated above, rare earth magnets are actually of the two above types and these two differ in their respective properties pertaining to various functions like heat resistance, corrosion and more. So their properties should be kept in mind while using them for various purposes.